CVC San Diego half triathlon includes a total of 70.3 miles of endurance racing with international, Sprint and kids courses. The Chula Vista Challenge (CVC) in partnership with KOZ Events, San Diego's premier endurance event producers and Pulse Endurance Sports boasts a fresh new race experience for individuals and relay teams, with 10 races to choose from including International, Sprint, & Youth Triathlons, Duathlon, Aqua Bike. The 70.3 Mile HALF DISTANCE course deemed The CVC SAN DIEGO HALF, will provide San Diego triathletes as well as regional, national and international athletes a chance to compete in a longer endurance event. This Triathlon is designed for a whole Day of Fun for Racers, Friends and Families! All the courses have been redesigned to make this event Super Athlete and Spectator Friendly. All race distances, the HALF, INTERNATIONAL, SPRINT AND KIDS events will start and finish at Bayside Park. The park will host the Swim Start, the Transition Area, the Hot Lap corners for the run and bike, Expo, Kids Fun Zone, and end with a Beach Party Finish line featuring a Beer Garden and Mexican Food vendors. We are proud to welcome Nuun Hydration as our "Official Drink" Sponsor. This is the second race in the Triple Crown. 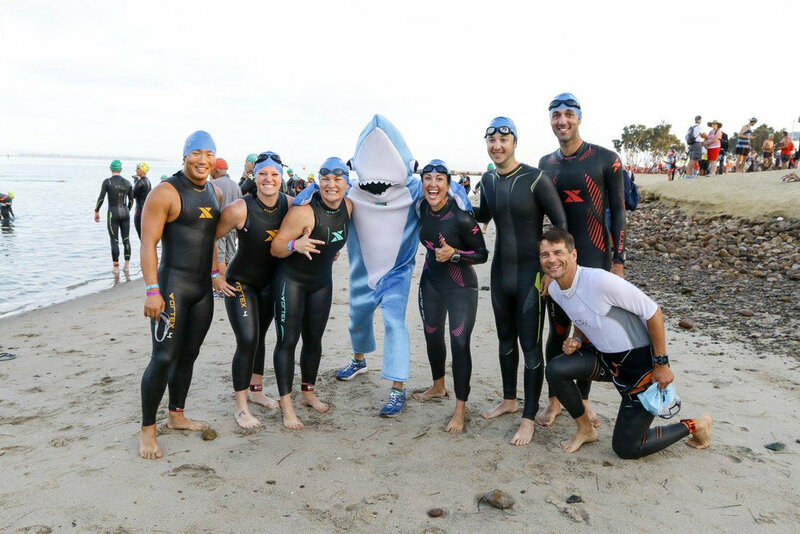 Complete the Spring Sprint Triathlon, this event and the Mission Bay Triathlon, you will receive the Triple Crown Award.